Shantiniketan is known to everybody for its contribution on culture, arts and education. The first name that comes to our mind is Rabindranath Tagore whenever we speak about Shantiniketan. Shantiniketan is a bengali word which means "Adobe of Peace". Rabindranath's father built a house there and called it Shantiniketan, later Rabindranath stayed at that place and built several other buildings. Shantiniketan can be reached both by road and train. It is 180 kms from Kolkata and the drive time is around 3 hours. We all know about this. We have been to Shantiniketan several times. 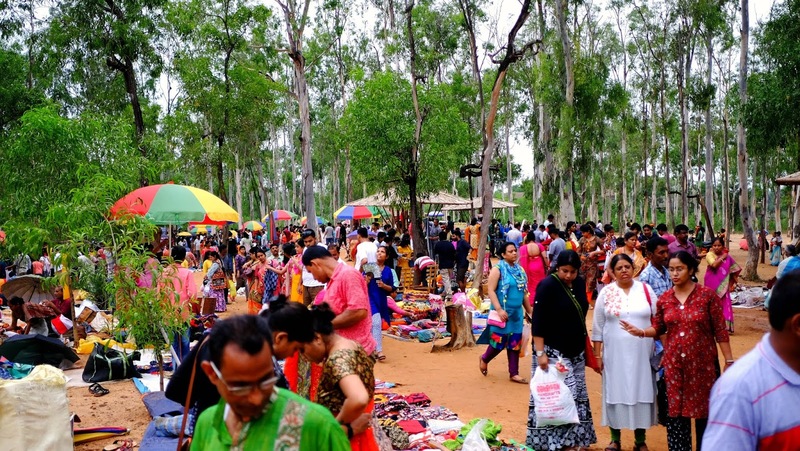 But there is a weekly market in Shantiniketan that is becoming overly popular these days and people are visiting Shantiniketan just to visit the market. There is a patch of forest known as Sonajhuri beside Shantiniketan. The river Khowai flows beside the forest. If you visit this forest in winter you will find tiny golden sonajhuri flowers. The word sona means gold in bengali. The weekly market takes place in a clean path within the Sonajhuri forest. 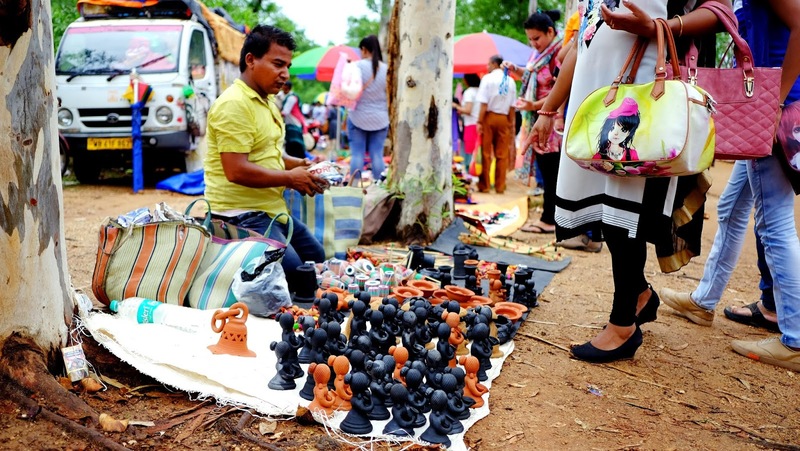 Hence the market is known as Sonajhuri Haat or Khaoyai Haat. The main characteristic of this market is that the local people brings hand made products and sells them. From kurtas to sarees, house decorating items, ek tara etc can be found here. Sonajhuri haat is colorful. There is a sense of art and music all over the market. People selling flute can play them so well that you will have to stop and listen. You will find artist drawing portraits, musician playing music using flute or ektara or local adibasis dancing in group. Many Biswabharati student also come to the haat to play music. There is no electric supply here hence no loud speakers are used. 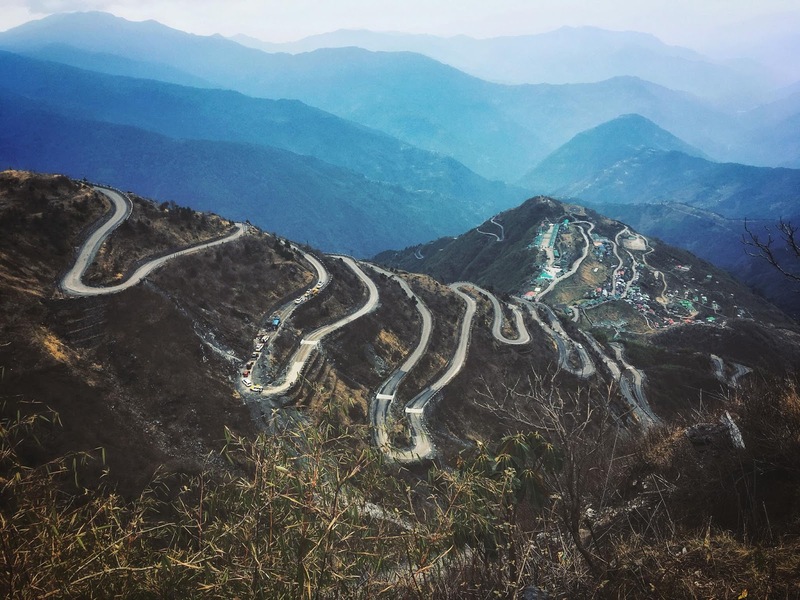 This place attracts a lot of photographers due to these reasons. Sonajhuri haat is must visit place if you are a nature lover, art lover or a music lover. 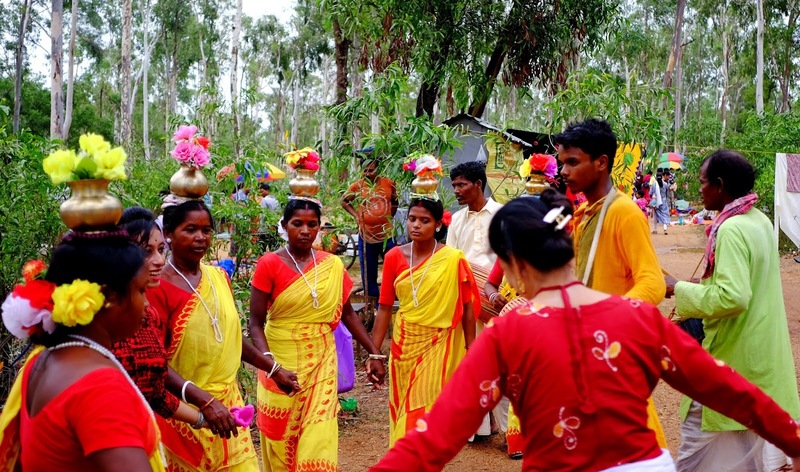 Shantiniketan or Birbhum is also known as the land of Bauls. If you read the wiki you will know that Bauls are a group of mystic minstrels who believed in simplicity and love. 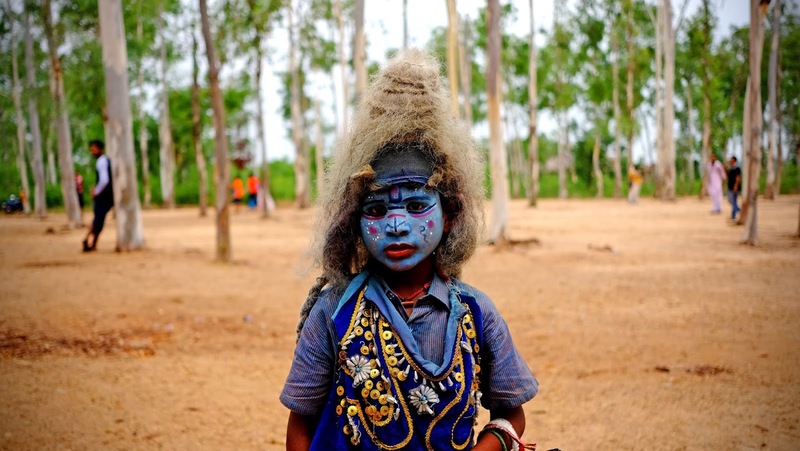 They can often be identified by their distinctive clothes and musical instruments.. Although Bauls comprise only a small fraction of the Bengali population, their influence on the culture of Bengal is considerable. In 2005, the Baul tradition of Bangladesh was included in the list of Masterpieces of the Oral and Intangible Heritage of Humanity by UNESCO. Over the years number of buals have decreased exponentially but their folk music known as Baul Song is highly appreciated all over the world. In modern age Rabindranath Tagore has a massive influence on the popularity of baul songs, he promoted and spoke about bauls at large. He even wrote few many folk songs inspired by them. Bauls pour out their feelings in their songs but never bother to write them down. Theirs is essentially an oral tradition. 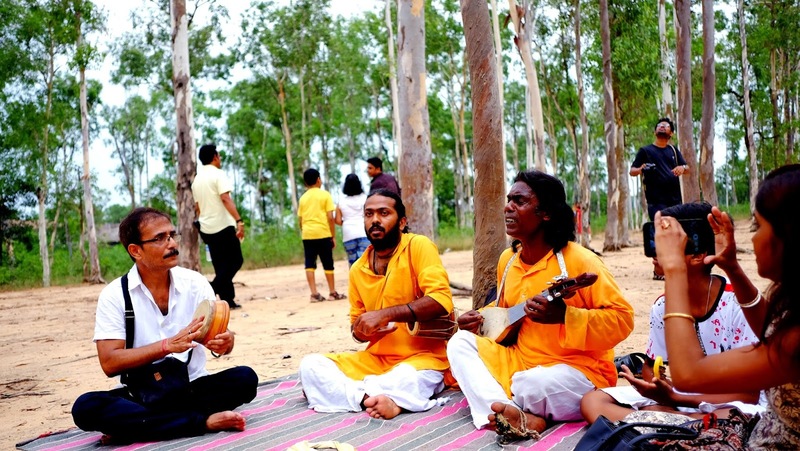 They use a number of instruments but Ektara and Dotara are the main ones. The reason I am talking about Bauls is you will get to see them if you are at Sonajhuri haat. 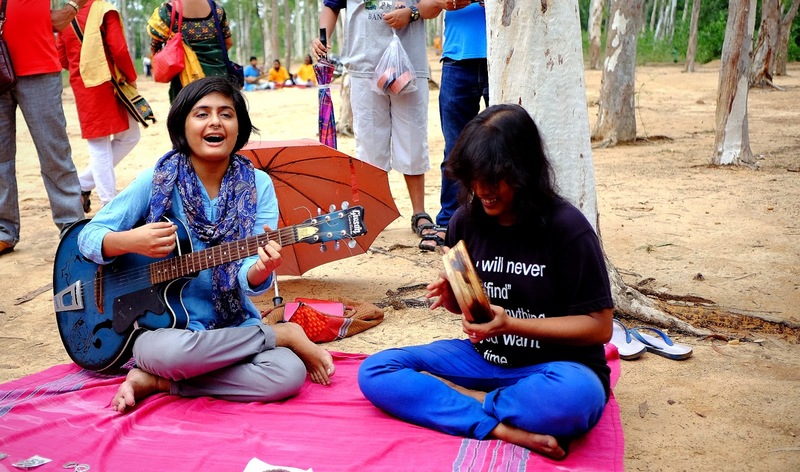 They gather in small groups, usually 3-4 member and sit under a tree and will sing. Despite of not using any loud speaker you can hear a baul singing from far. Their voice is very sharp and the pitch of the song can get attention quickly. Baul songs are very interesting and you will love the lyrics. Spending 3-4 hours at this market isnt a big deal. However as there is not electricity the market is open till the time light is available. This market is open on saturdays only. So if you are there on a Sunday you would probably see nothing. If you are visiting Sonajhuri I would suggest to stay in Sonajhuri itself. We stayed at Prantik which is 3 kms from Sonajhuri as we couldnt find accommodation at the last moment. Ya, book in advance as there is less or no chance of finding a hotel in Sonajhuri after you have arrived.